ALCS | Attention aspiring young writers! We’re delighted to announce the launch of the 2019 ALCS Carnegie and Kate Greenaway (CKG) writing competition, in conjunction with the CKG Awards shadowing scheme. This year we’re challenging young writers, aged between 8 and 16, to think about their favourite books from a whole new perspective. We are inviting them to write a diary entry from the point of view of their favourite character, whilst also thinking about the basic principles of copyright and linking creativity with ownership. 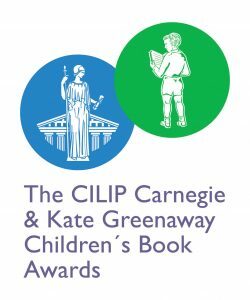 The winner will receive a tablet for their personal use, tickets for themself and a chaperone to the CILIP Carnegie and Kate Greenaway Awards ceremony in London, a selection of Carnegie and Greenaway shortlisted books, and £500 worth of books for their school library. Two runners-up will also receive a selection of the Carnegie and Greenaway shortlisted books. Entrants must be signed up to the CKG shadowing scheme: details of how to do this can be found on the CKG website. This year’s ALCS CKG writing competition closes on Friday 31 May 2019. Find out more details of how to enter here. ALCS and CILIP have been in partnership for over a decade. The hugely successful CKG shadowing scheme reaches an estimated 100,000 children each year across the UK. Participating children read the books shortlisted for the CKG Awards, discuss with each other which they think is the best, post reviews and vote for their favourite books before the official winners are announced. The CKG shadowing scheme is one of the UK’s major ‘reading for pleasure’ initiatives and is almost exclusively run as an extracurricular activity by English teachers and school librarians. For a full overview of the scheme’s success, read our 2017 anniversary piece, in which we celebrate ten years of supporting the CILIP CKG Awards and shadowing scheme. Read more about the CKG Awards shortlist here.